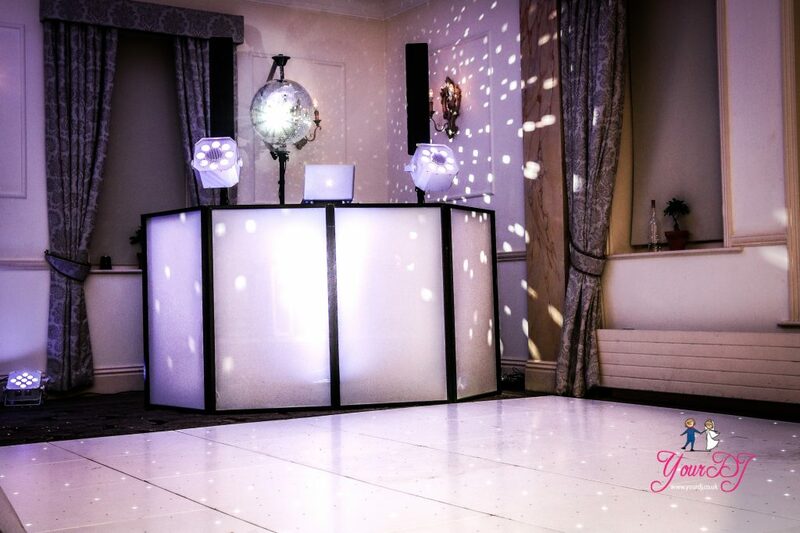 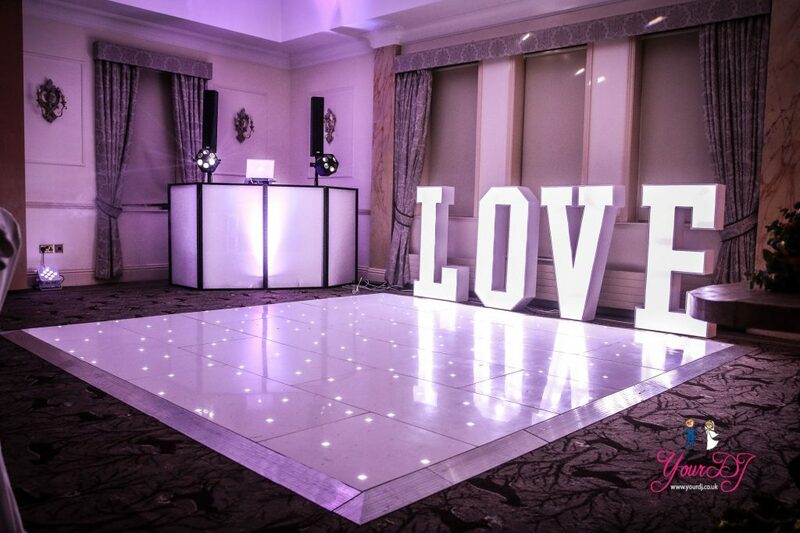 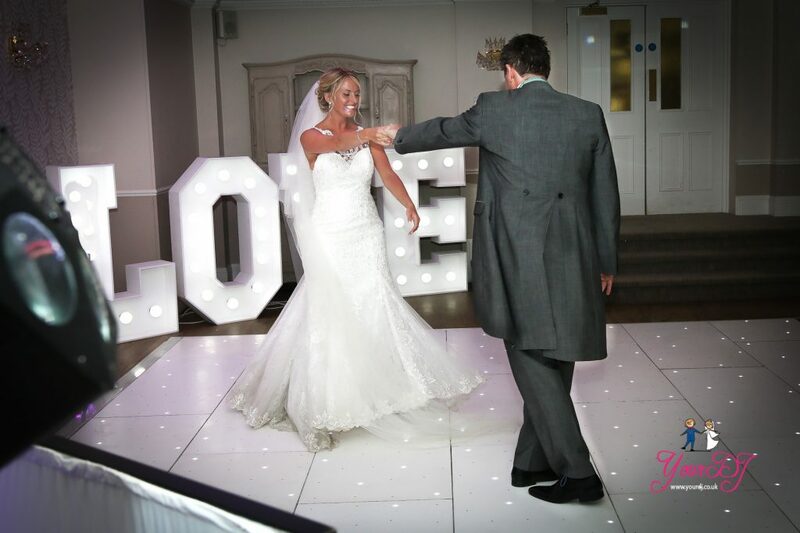 Why not bling up your wedding day with a bit of sparkle and add an elegant and classy LED dance floor? 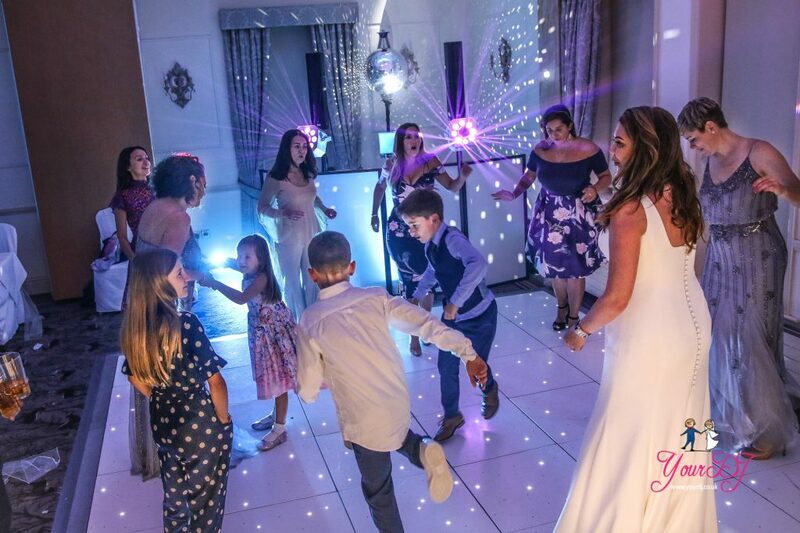 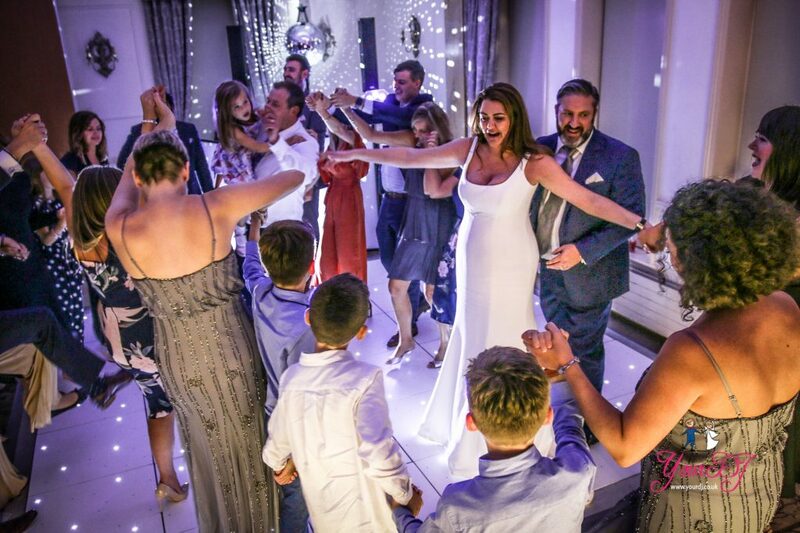 We provide top of the range LED starlit dance floors that will twinkle from your first dance until the end of the night! 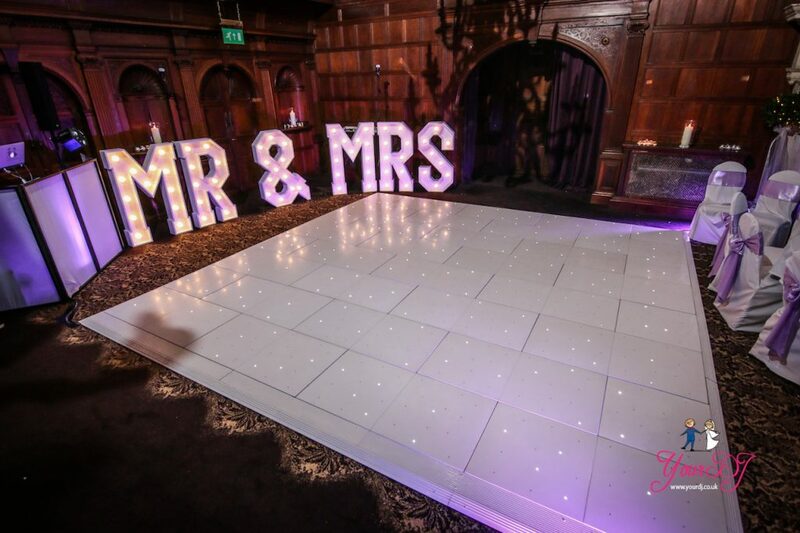 Suitable for up to 120 guests our LED dance floors are made in the UK and have super bright static or twinkling LEDs. 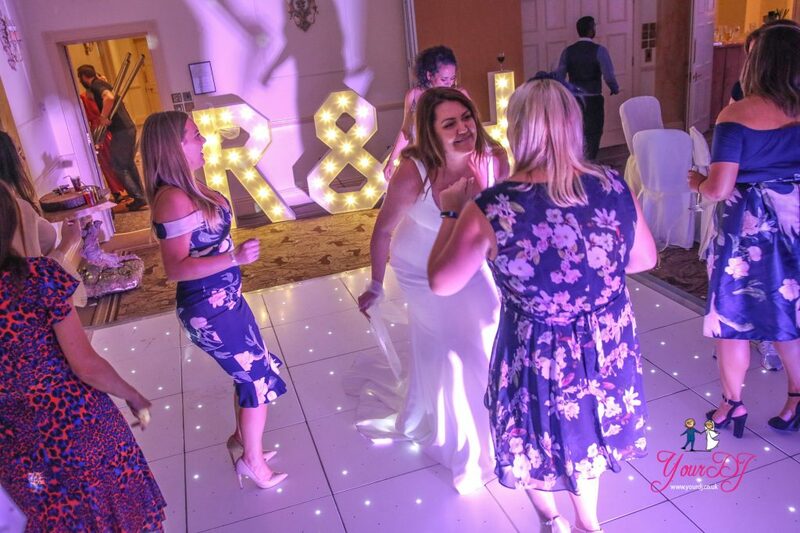 Your dance floor will be set up at a time that suits you and dismantled on the same night or the day after, depending on your venue’s preferences. 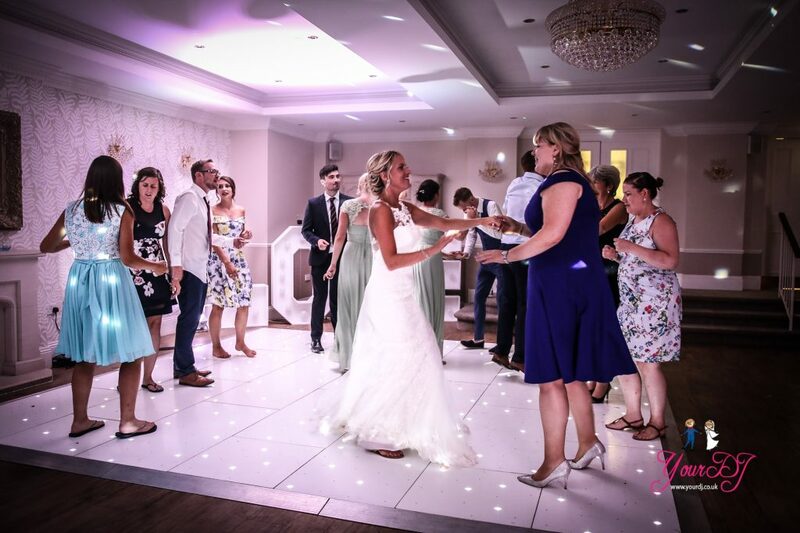 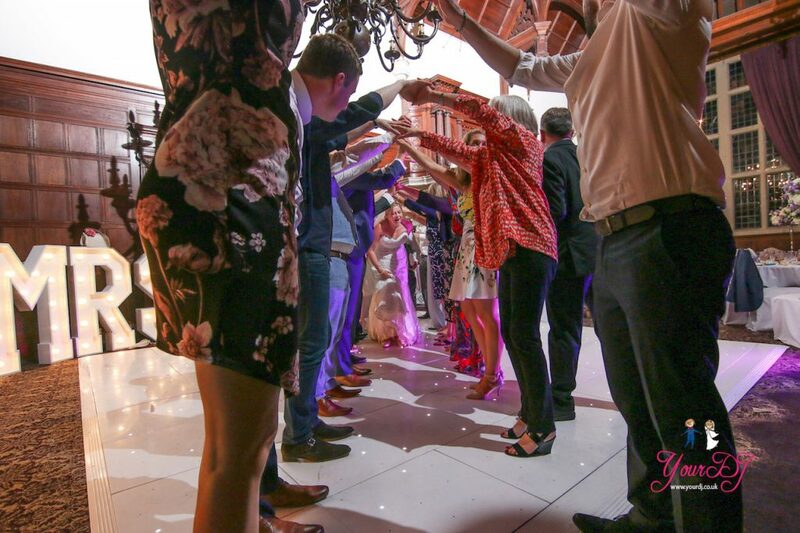 All floors are cleaned and look stunning, so why settle for your venue’s boring old brown dance floor when you can have a bit of luxury on your wedding day? 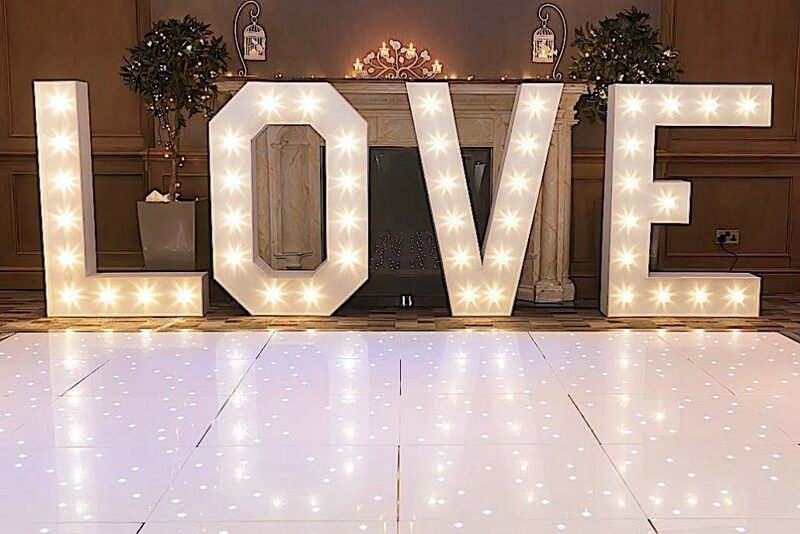 Not only will it impress your guests but it will make the photos look amazing! 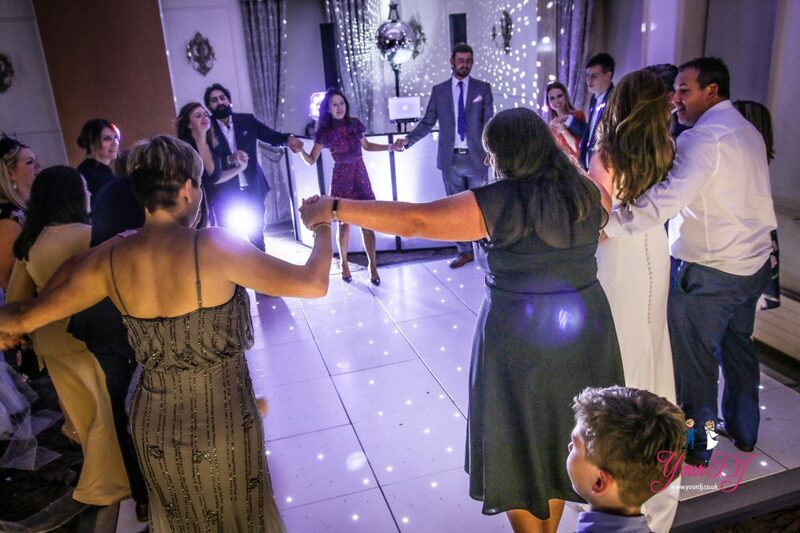 A good idea for this extra is to leave the lights off at the start of the night and then magically light the dance floor for the entrance to your first dance. 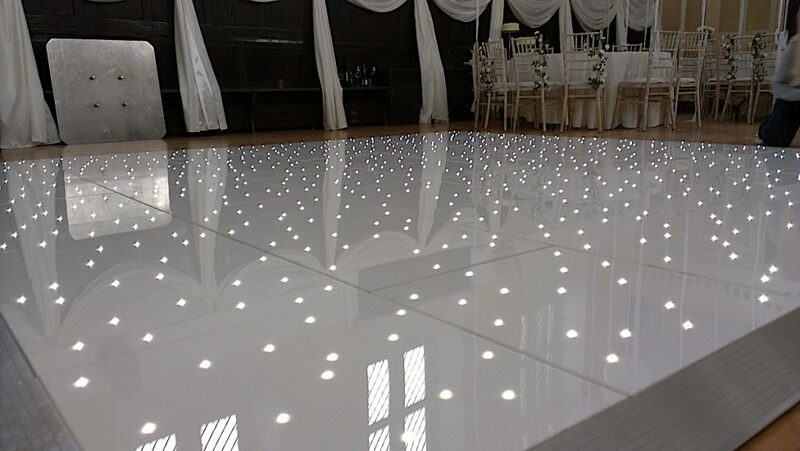 Your guests will be ‘in the dark’ about the floor until this point, which adds to the WOW factor. 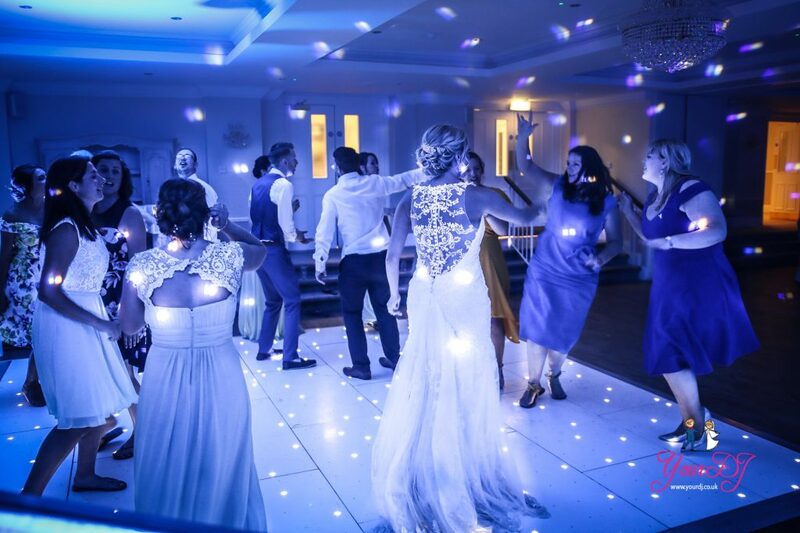 Why not combine a starlit dance floor with our dancing on the clouds effect? 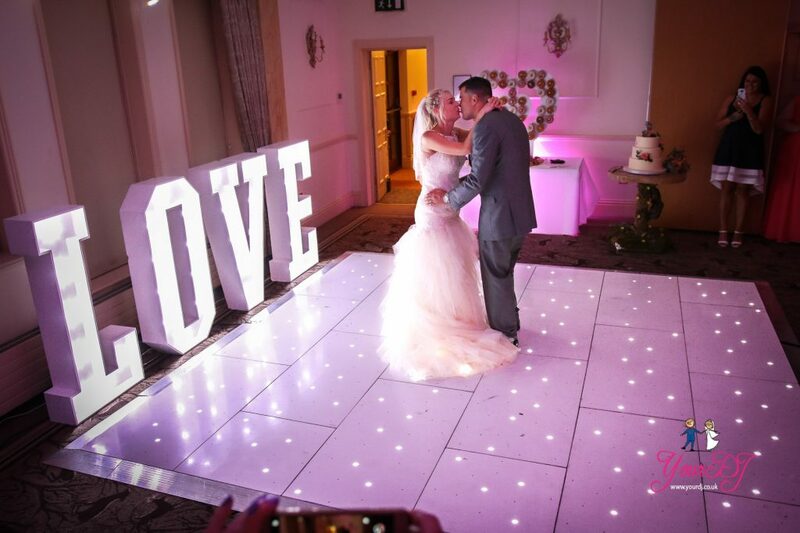 The lights shine through the dry ice fog and they are truly the perfect combination. 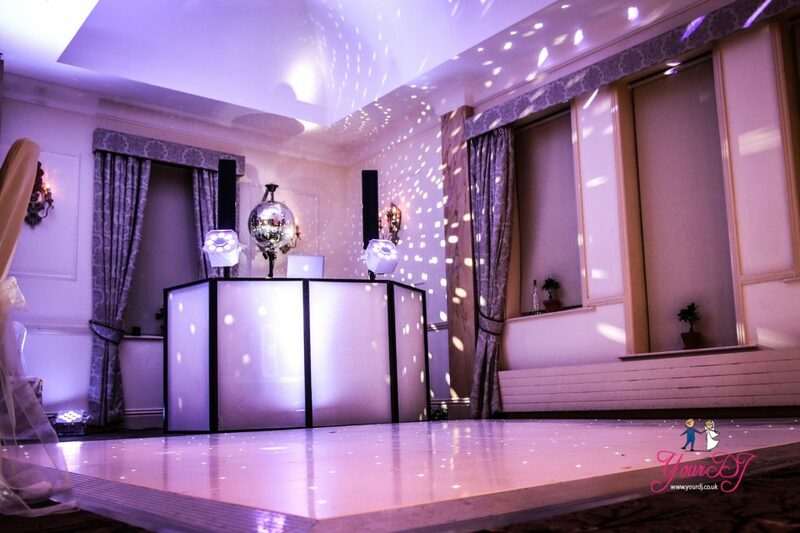 White in colour, with white LEDs capable of 6 speeds using a remote control. 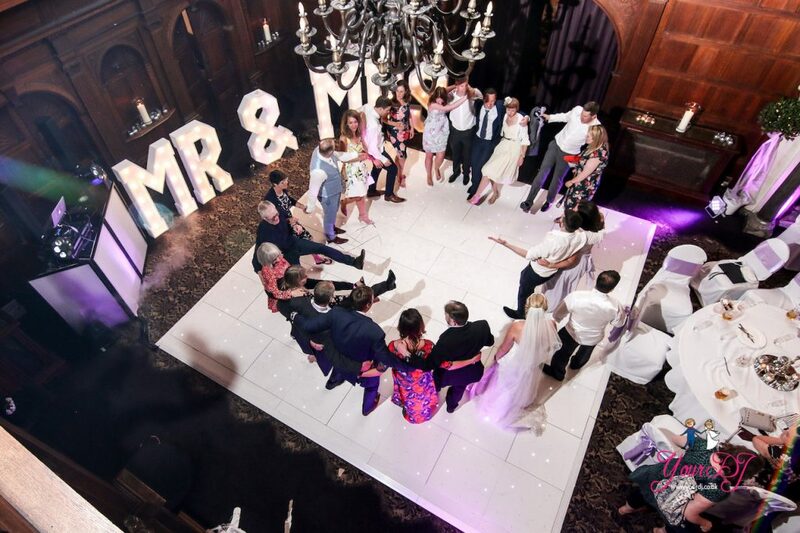 The floor is only 28mm high, so reduces and risk of your guests tripping. 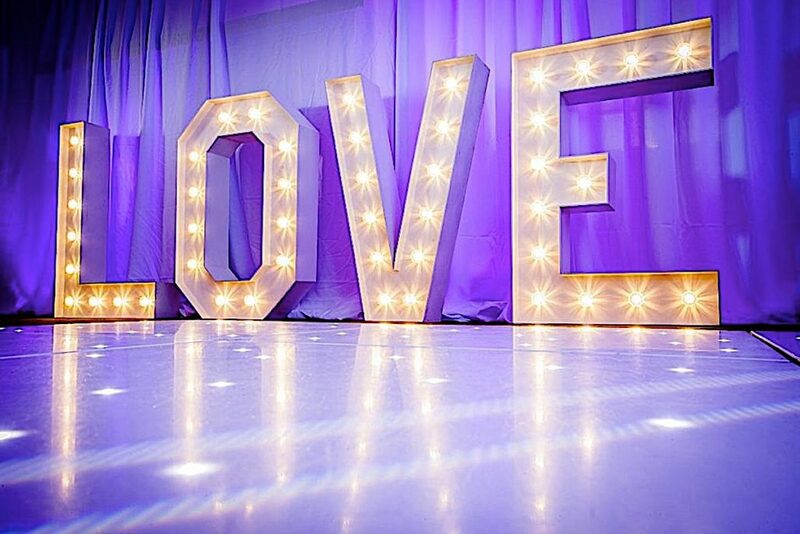 The outer edge is silver metal.